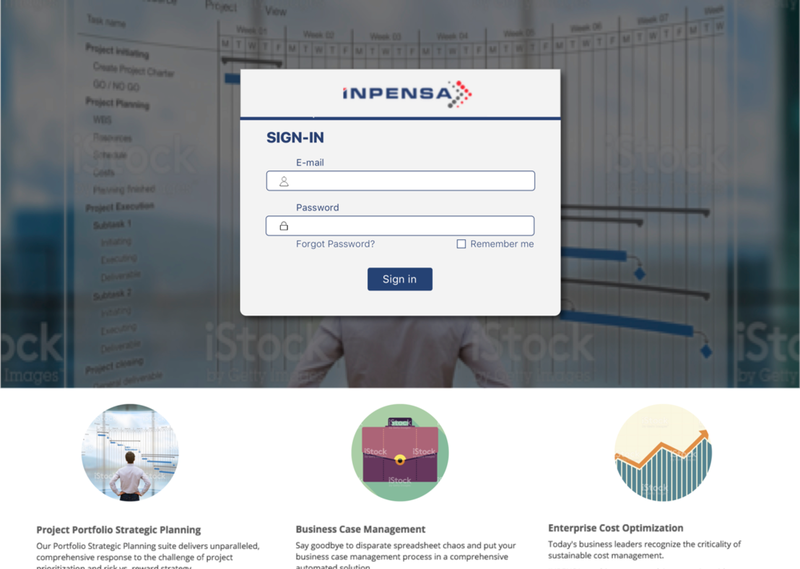 Inpensa is a SaaS technology and advisory services company that is focused on helping corporate executives make better investments through strategic planning, ROI analysis and benefits realization. 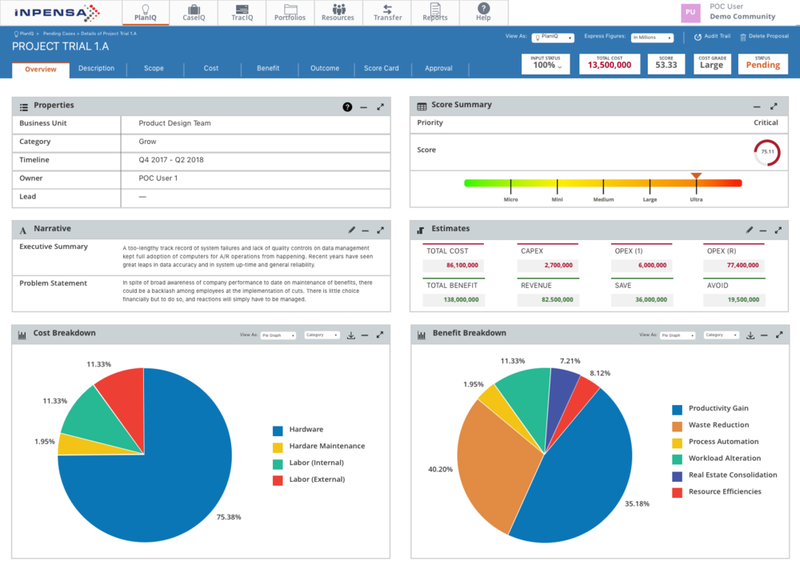 Their enterprise product help data analysts and financial executives input, view and manage large amounts of data, which ultimately would be used to determine the scope of a business project. I worked alongside 2 UX Designers on a 4 week sprint and led the efforts during the research phase. My main responsibilities included user research, wireframing, prototyping and usability testing. To get a deeper understanding of the pain points that Inpensa's clients were facing, we interviewed 5 mid to high-level employees from two of their top-tier clients. The goal of this interview was to understand which part of the process required too many clicks, the pain points revolving around data visualization, and any other problems they've faced. Regarding the issue of data manipulation, project managers have to change high level attributes of the 25-30 projects that they're assigned with, which required them to go into each project to change and edit data, and then return back to the project repository to continue. Thus, this reduced the user's motivation and work productivity. In terms of the learning curve, users found the product to be unintuitive. Frequently, clients receive new hires, and managers have to constantly train employees on how to use it. Users expressed it was not clear on what they have to do on each page and how they are supposed to be navigating through the product. 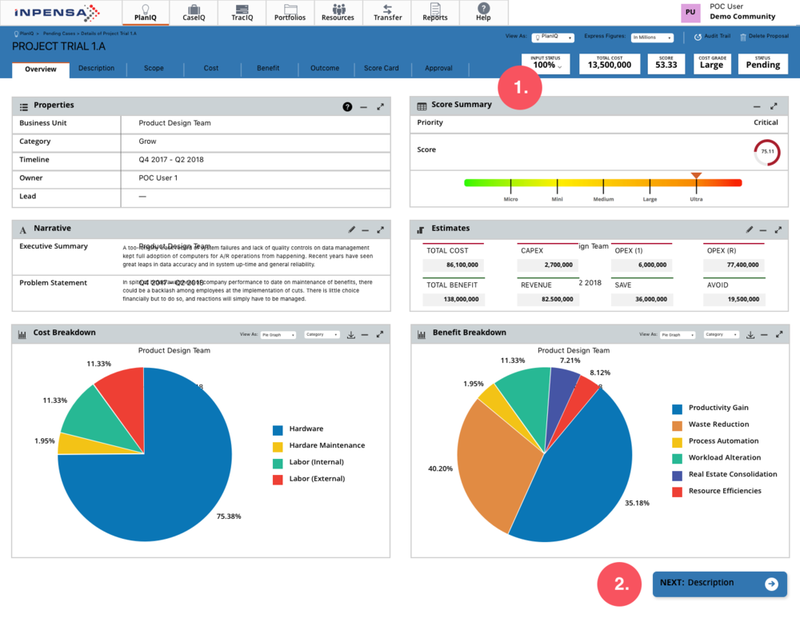 Data viewing: Allow users to expand data sheets into a single large window for better data viewing and data manipulation. Data manipulation: Hyperlinks and modal functionality for quick edits without having to travel to other pages and to reduce the number of clicks it takes to complete a task. Learning curve: We added a (1) progress bar that let users know what tasks they need to do or have left in order complete a task, and (2) bottom navigational buttons the show the workflow direction that users were supposed to take. See the following annotated wireframe and GIF for an example. A GIF demonstrating the functionality of the progress bar (located far right within the input status box). The remaining sketches were lost and these are the only ones that I was able to recover. 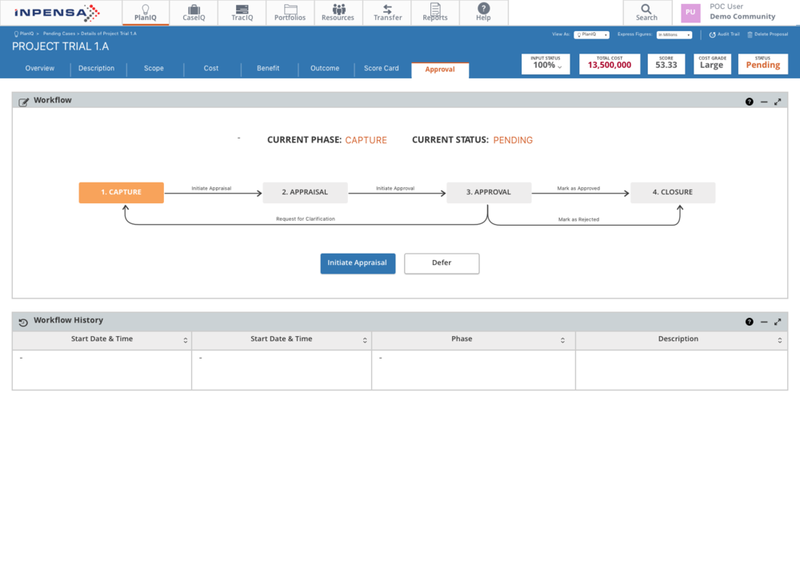 The user's primary purpose on this software is to complete tasks in a linear fashion. First the analyst creates an idea/project and fills in the required information. After completion, the executive decides if the idea/project gets approved or not. 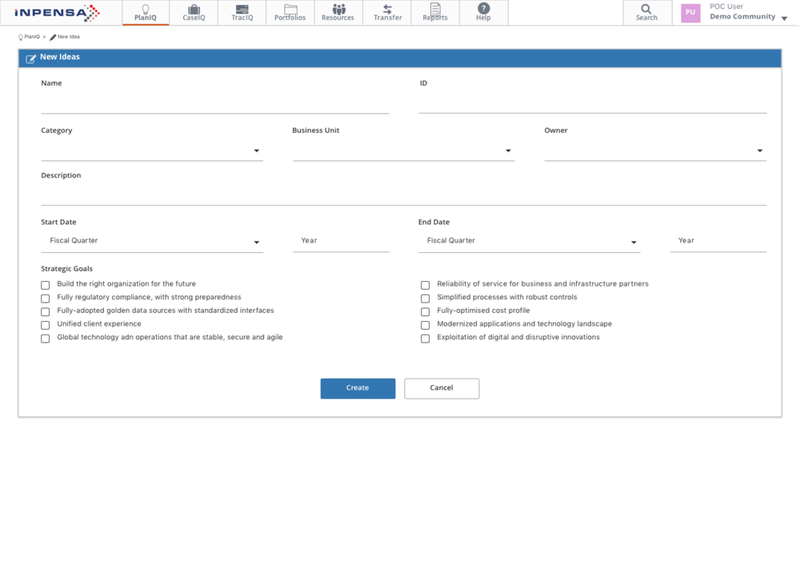 So, we wanted to test if users were able to complete both the analyst's and executive's tasks intuitively on the redesign. Users liked the overall user interface of the project. While they weren’t able to understand all the details of the page, they understood where to locate the features. Users were looking for a quick way to access “New Ideas” directly from the dashboard page, but 75% of the users quickly realized its location once they hovered over the “PlanIQ” button at the top most navigation. 75% of the users were unsure what the next steps would be once they got to the tabbed layout after creating a new idea. Consistency between the editing and moving between tabs helped improve learnability going through the different steps. Addition of the “Next” button helped users understand the sequence of steps that they had to do. Increasing the size of the “View as: PlanIQ” toggle helped improve its visibility. Users instinctively still went through the “CaseIQ” and “TraqIQ” buttons at the top nav. The addition of the “Input Status: X%” , it wasn’t as effective because it blended with the rest of the information on the top. 100% of users did not think it contained information pertaining to the completion status of their workflow.